UPDATED Mar. 17, 2019. This article is for those who have Medicare for Disabled Under 65. If you have been receiving Social Security Disability Insurance (SSDI), then you are qualified after you have received your SSDI check for 24 months. If you have Amyotrophic Lateral Sclerosis (ALS), also known as Lou Gehrig’s disease, then you are qualified for Medicare Under 65 the first month you get your SSDI check. If you have End-Stage Renal Disease (ESRD), then you qualify for Medicare under age 65 (retroactively) if you meet certain eligibility requirements. Notice also, that Social Security, not Medicare, determine whether you qualify for SSDI checks. You’ll be automatically enrolled after you’ve received Social Security Disability benefits for 24 months. You will receive a Medicare Card in the mail three months before your 25th month of disability which makes you eligible for both parts of Original Medicare: Part A and Part B when you are under age 65. If you have Medicare Part B, the premium will be automatically deducted from your Social Security check. You do have the option to turn down Medicare Part B, but you should only consider turning Part B down if you already have group coverage from your employer or your spouse’s employer. Otherwise, you’ll have a premium penalty when you sign up for Part B later, and you may have a gap in your coverage. If you have limited income and resources, you may qualify for help paying Medicare Part B premium. For more details, please contact Liberty Medicare. 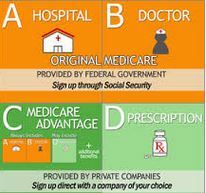 Private insurance companies sell Medicare Supplement, Medicare Advantage, and Part D. Unlike Part A and B, there isn’t an automatic enrollment, so if you are interested in enrolling in any of these plans you either need to register yourself or with the assistance of an agent. You may consider enrolling in Medicare Advantage (Part C), which provides services covered by Parts A, and B. Part D is usually included in Medicare Advantage Plans, and therefore there is no need to buy it standalone. If you stay with Original Medicare (with or without Medicare Supplement plan), then you need to buy the stand-alone Medicare Prescription Drug Plan (Part D). If you have limited income and resources, you may qualify for Help with Prescription Drug Costs. Medigap plans do NOT include prescription drug coverage; therefore, you need to buy it separately. Medigap plans are generally for people over the age of 65 and insurance companies can refuse to sell Medigap policies to people under 65. 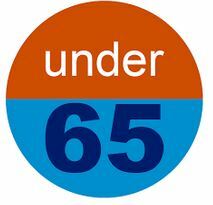 When you have Medicare under 65, eligibility for Medicare Supplement depends on the state where you live. Our services are offered to you at no cost. If you are considering a Medicare Supplement, Medicare Advantage or Prescription Drug Plan, let us help you. Learn more about all the benefits of working with Liberty Medicare.